So what more perfect way to get some green in than with a Oh So Green Juice! 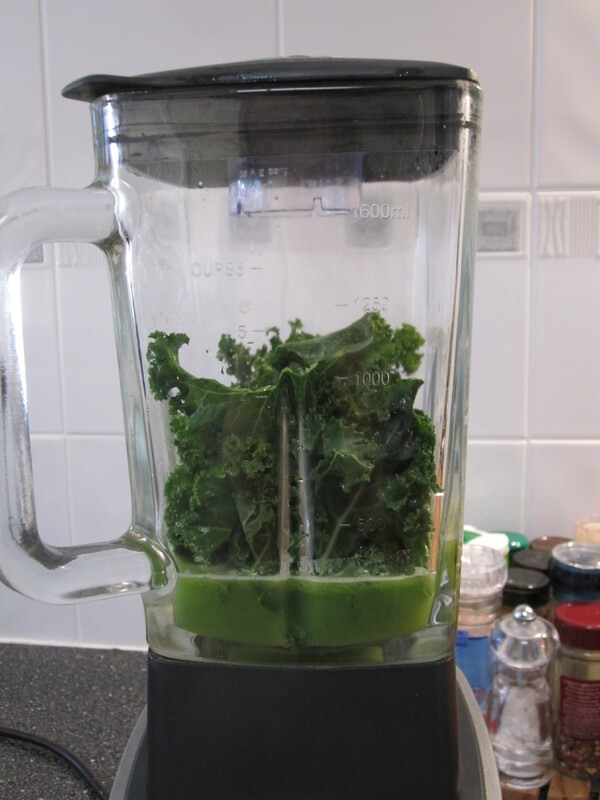 I currently do not have a masticating juicer, so I have used my centrifugal juicer to juice the cucumber, celery and apple – then I add the juice and Kale into a blender and blended. It is not the ideal way to have kale juice – but it works OK for today’s purpose of getting lots of greens into me. Nothing great tasting about this juice but it certainly will give you an antioxidant and vitamin boost!